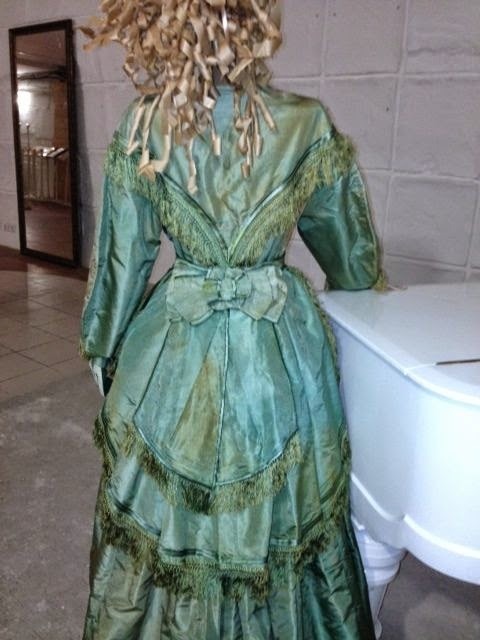 Antique Wedding Dress "Green Apple". 1870. London. 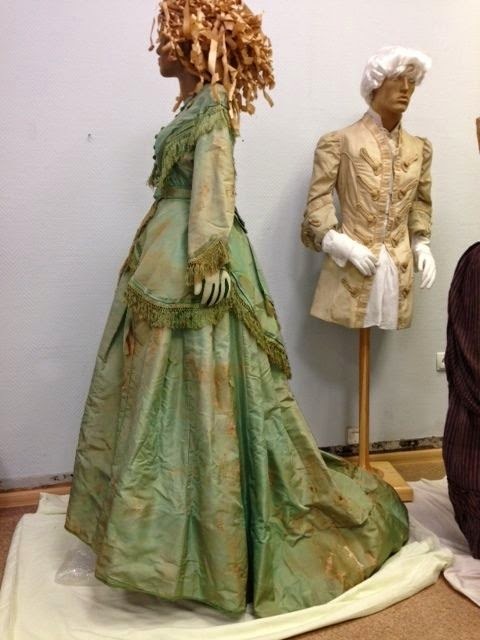 Wedding dress made of taffeta. Prior to 1990, exhibited at London muzee.Est documents. It is known that Hariet Hamelton crowned in Manchester in 1870. 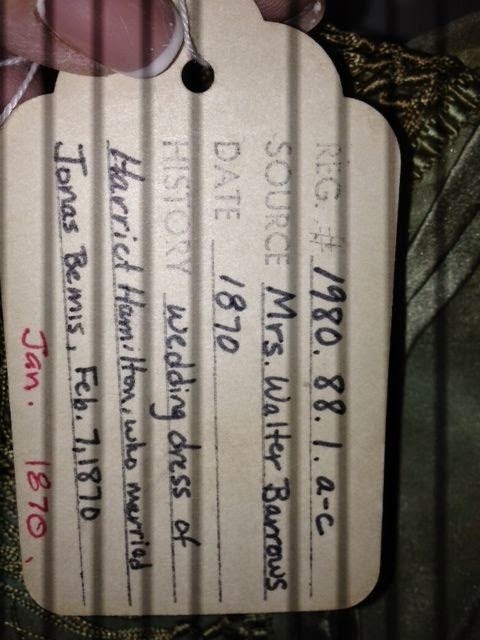 I wonder that at this time in wedding dresses were fashionable all shades of green. It was believed that the green-grape, apple is abundance. Silk fringe skirts tunic and passes on the bodice, forming straps. The bodice vyvyazannye manually button. Buttons are very beautiful preserved in very good condition and all. Belt decoration is sophisticated style. Tacked bows with long ends. Very full skirt worn with a crinoline. 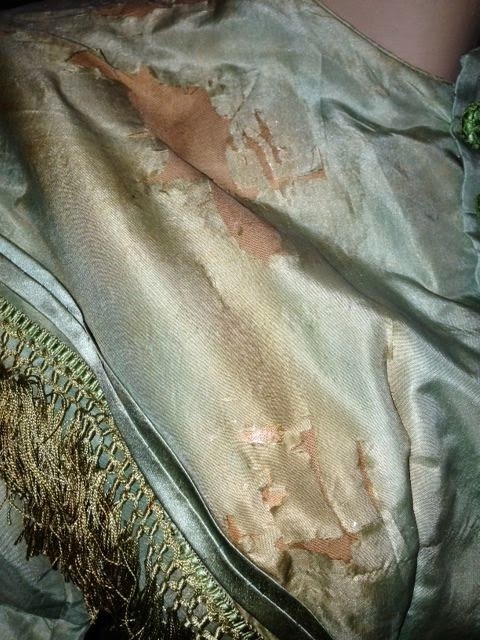 Costume needs serious restoration or good for learning about the dress with a long history. 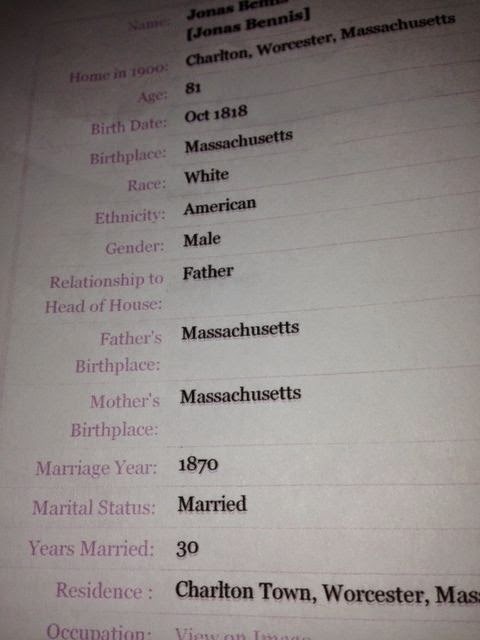 There are all kind of pedigree Hariet Hamelton. All I'm going to say is this - if this is the wedding dress, than this lady was extremely fashion forward as the style of the dress was popular a year or two later. You can see what I mean here.